IT IS AN UNDISPUTABLE FACT THAT SEIGMEN STAND TALL AS ONE OF THE GREAT PILLARS IN THE NORWEGIAN ROCK SCENE! 9/10 - Terra Relicta: "Seigmen… Welcome back!" Last year marked the 20th anniversary of the exceptional album “Total”, followed by the 20-year anniversary of their breakthrough album “Metropolis” in 2015, which defined them as one of the leading forces in Norwegian rock throughout the 90’s. Monday - April 13th 2015 sees the release of Seigmen’s latest album entitled “Enola”. They released seven albums in six years, but it took 18 long years after the release of “Radiowaves” before they decided to create a new studio-album. 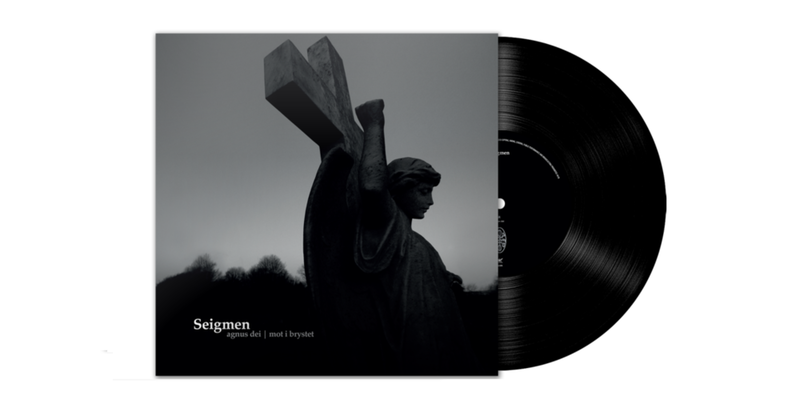 Seigmen defined the sound of Norwegian rock for a great many during the 90s. However, the band disappeared off the radar as fast as they entered, after dominating the charts with their unique mixture of melancholic rock and tasteful pop. "Enola” is the bands unexpected, long-awaited and unlikely studio-release #8. Seigmen has been playing a handful of shows in the last couple of years and in 2012, new songs appeared. Speculation over a new album immediately ensued among the bands fan-base, which has had a steady growth in the recent years. “It was never our intention to create a full album, but suddenly everything came pouring out. It all started with a doom-like riff that Sverre originally created for “Total”, which was never used. It later evolved into the verse of Trøst, and from there it all came pouring out of me. A great many demos of new songs were created”, says Bassist and composer, Kim Ljung. “At the first rehearsal everything felt right. Marius and Sverre were extremely motivated and they played symbiotically as they always have. It sounded like Seigmen instantly.” It has been 18 years since their last album, and 20 years since the massive success of “Metropolis”. You might think that this much time away would shine through on the album, but it does not. “Enola” might very well be the lost record that never appeared right after “Metropolis”. The album was recorded in two intervals; the first took place as early as autumn 2012 in Athletic Sound Studio, and the second interval took place at the same location in June 2014. The remainder of overdubs and mixing were done in Room 13 in their hometown Tønsberg with front figure and vocalist Alex Møklebust as the technician. "Enola" might be the greatest comebacks in the history of Norwegian music.